Roger Federer might be number one in the world, but you… you’re number one with mom! 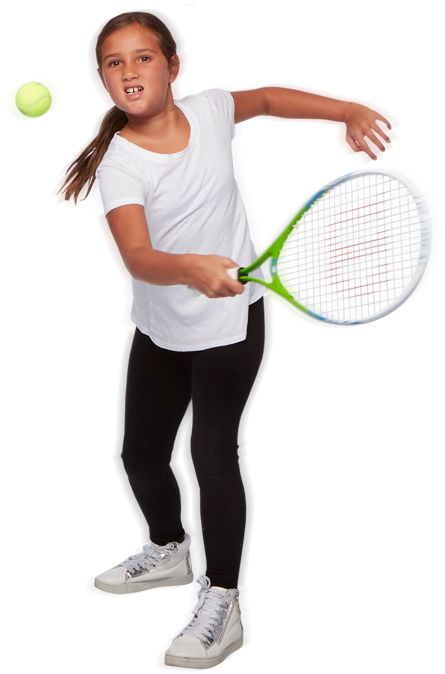 Just like the pros, Sportball tennis has forehands, backhands and volleying covered. We keep your future aces engaged and moving with skill-focused play and high-energy non-competitive games. Tennis is offered year-round Indoor or Outdoor as part of our Multi-sport program. Children (16 months – 12 years) learn the fundamentals, through skill-focused play in a supportive non-competitive setting. All Sportball programs are designed to grow with your child and reenrollment is encouraged. Our play-based approach uses creative coaching techniques to captivate imaginations and reduce performance anxiety. Children imagine that their ball is a race car that needs to be gassed up by a forehand to win the race!